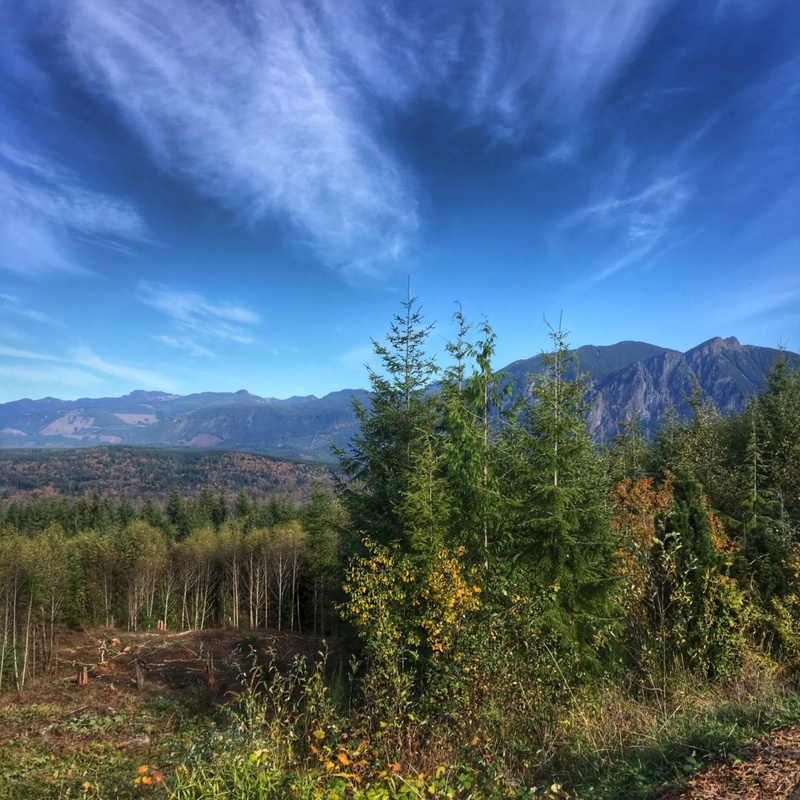 Hello from the other Washington – Washington state! 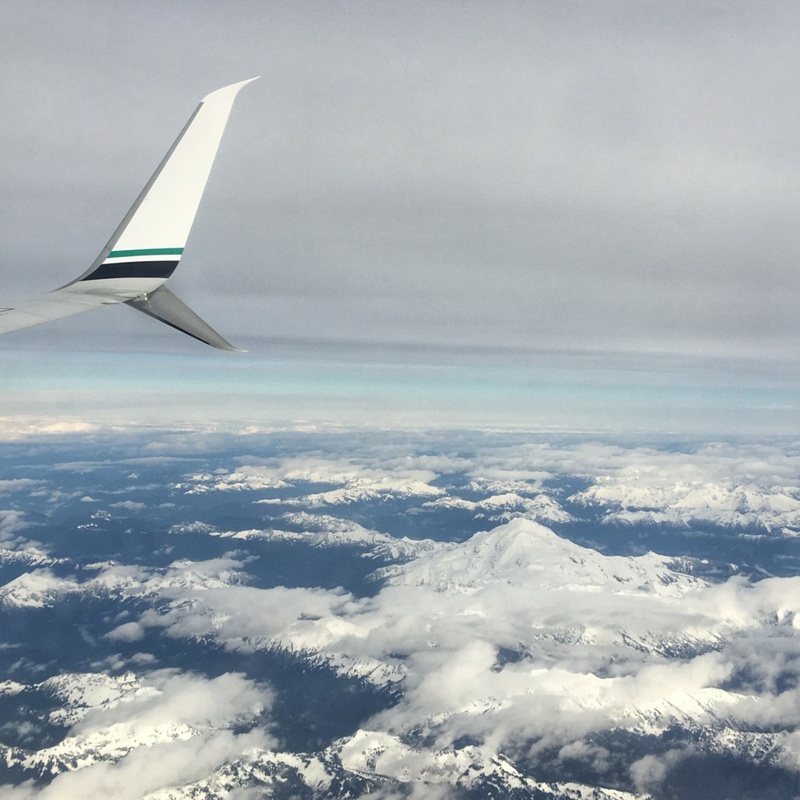  I always love flying into Seattle – such gorgeous mountain views. As I mentioned, I’m here for a blog/RD-related trip that starts later today. My brother lives in Tacoma so Matt and I decided to fly out on Friday and spend the weekend with him before my trip begins! Matt flys home this morning. 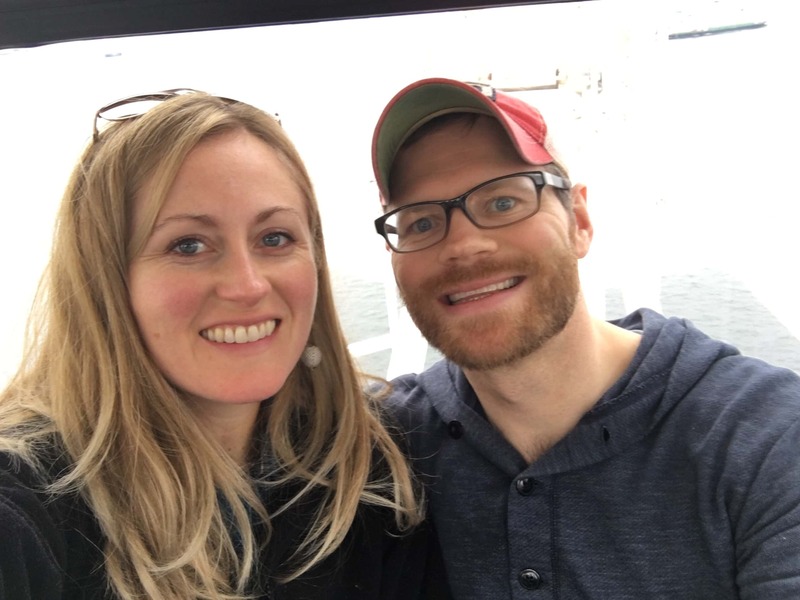 We got into town on Friday around noon and after getting our rental car made a beeline for Seattle. Food, please! 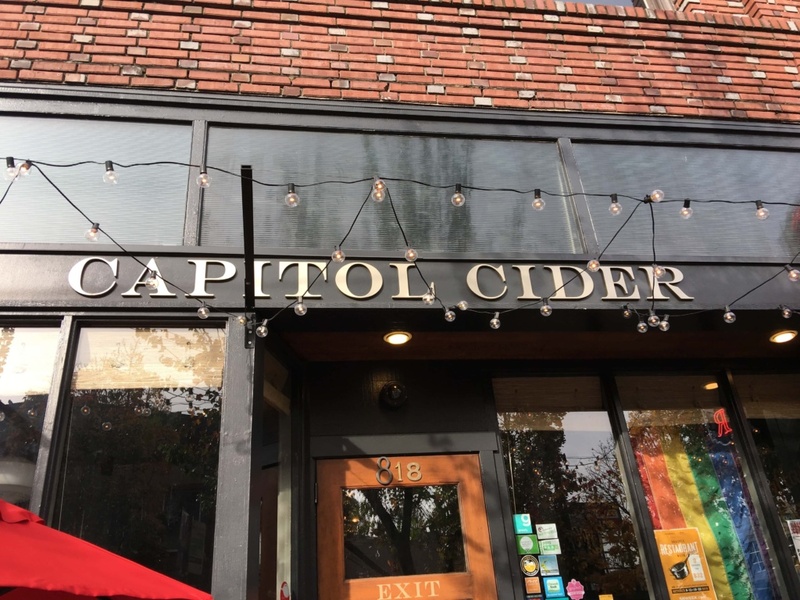 I read Yelp reviews while we drove and we settled on a cool-sounding spot called Capitol Cider. 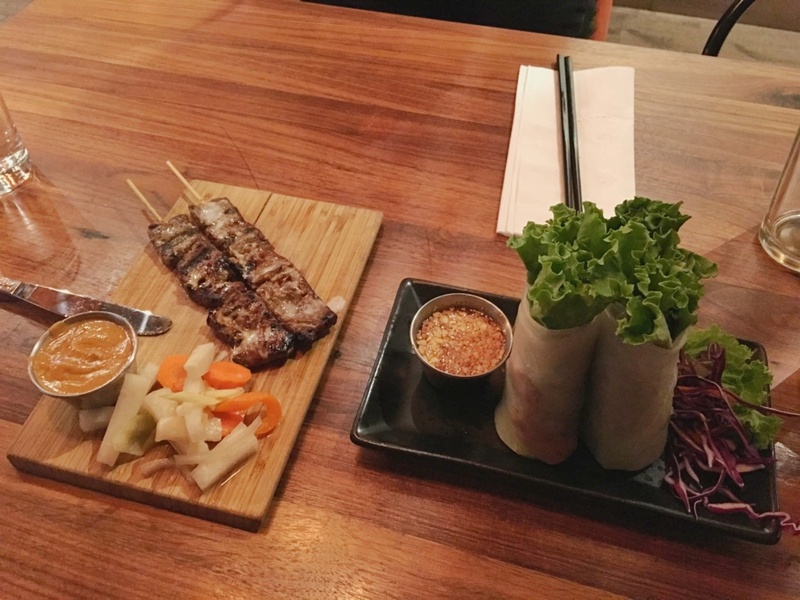 This ended up being an awesome choice – the food was great and it had a cool hipster ambiance. Since we were at a cider place, of course we started with cider! I had a yummy ginger one. 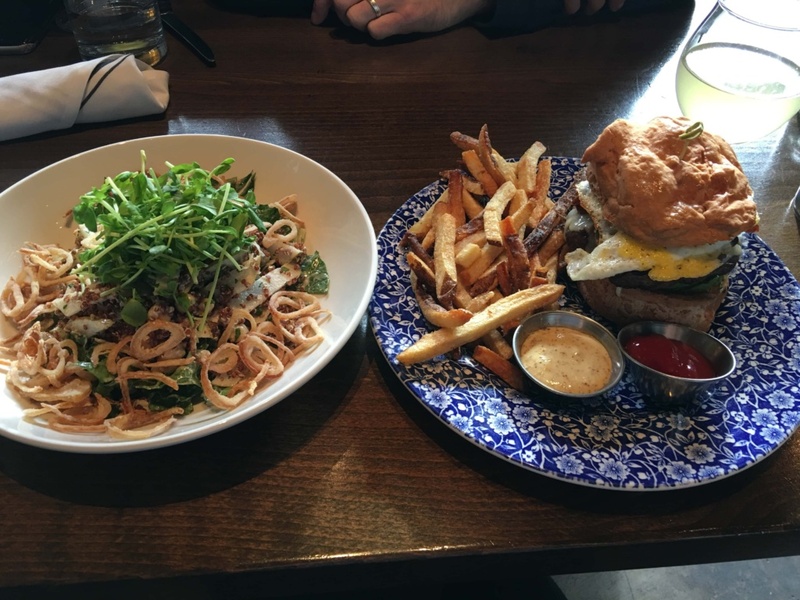 As for food, Matt and I were interested in two of the same dishes – a salad with greens, chickpeas, apples, and fried shallots, and the burger. So we decided to get both and share! We were really hungry and demolished everything – it was all delicious! 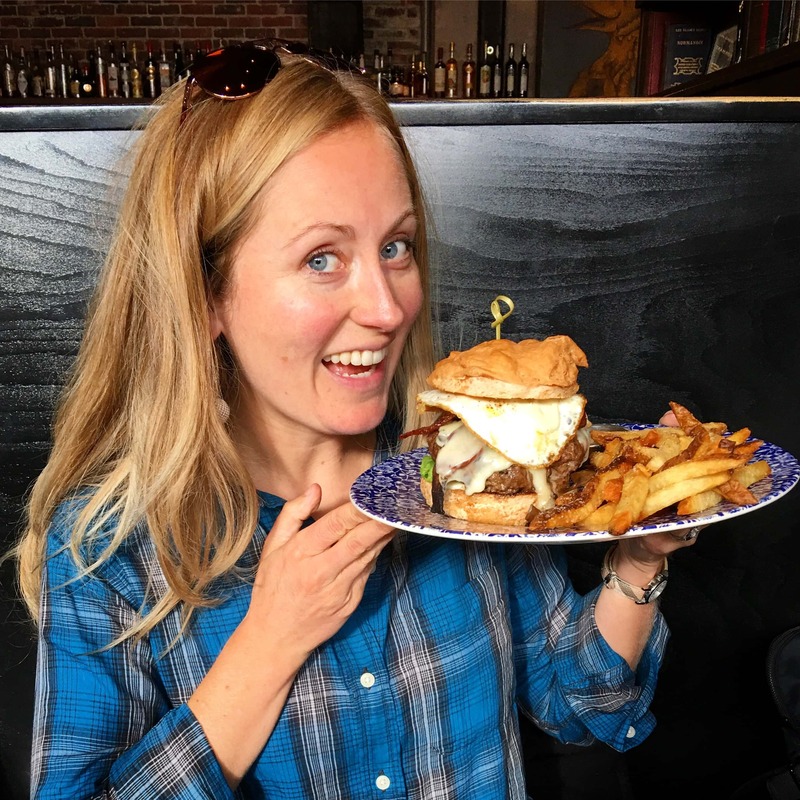 The burger (which we had loaded with mushrooms, cheese, bacon, a fried egg, and avocado) was especially phenomenal. Just before leaving I was texting with my friend Emily (who lives in Seattle) and discovered that the restaurant had her and her husband’s kombucha for sale! 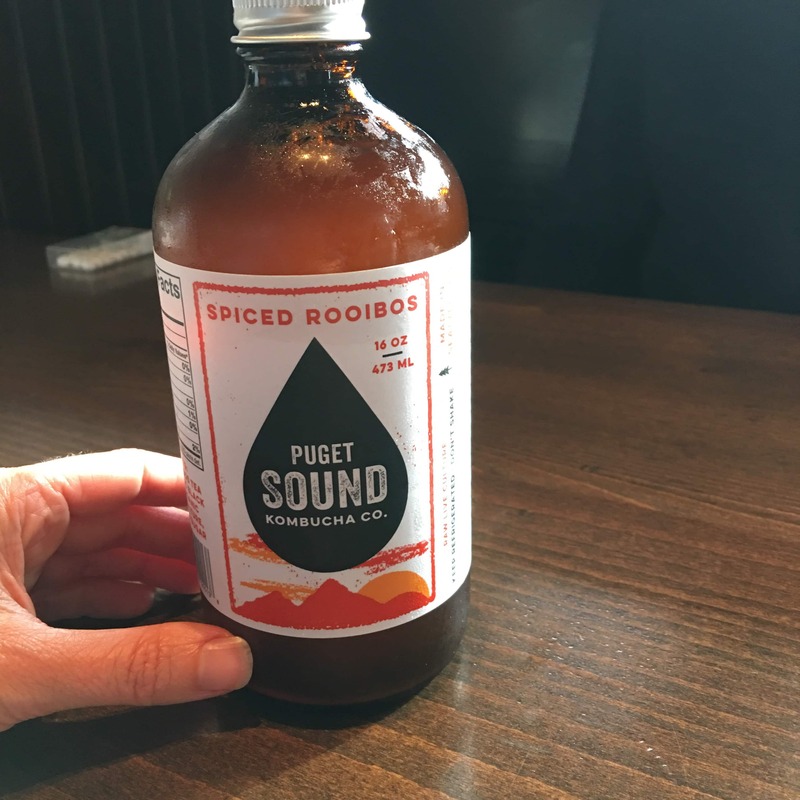 They own Puget Sound Kombucha Co. and I’ve been dying to try it but you can only get it here. 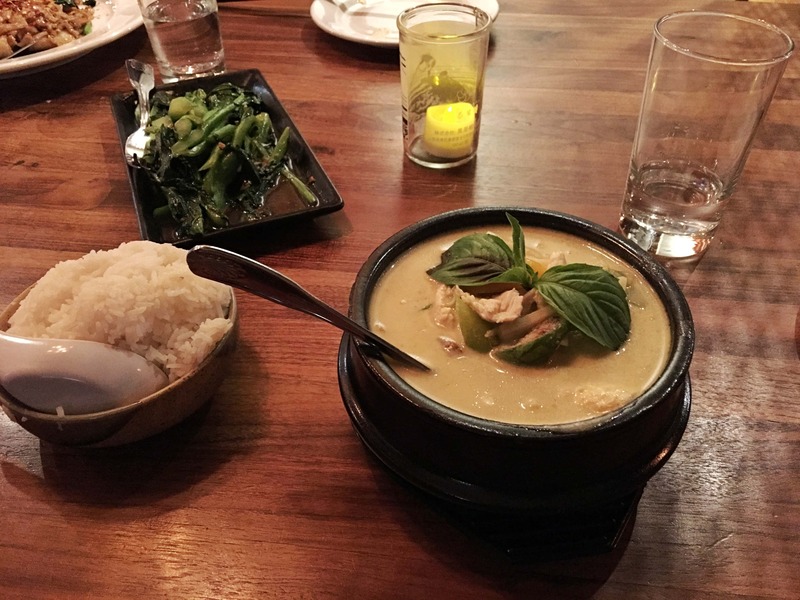 Clearly we had to order some – it was so good! Then it was time to explore! First stop: the space needle. Unfortunately there was a huge wait to go up it so we just admired it from below. 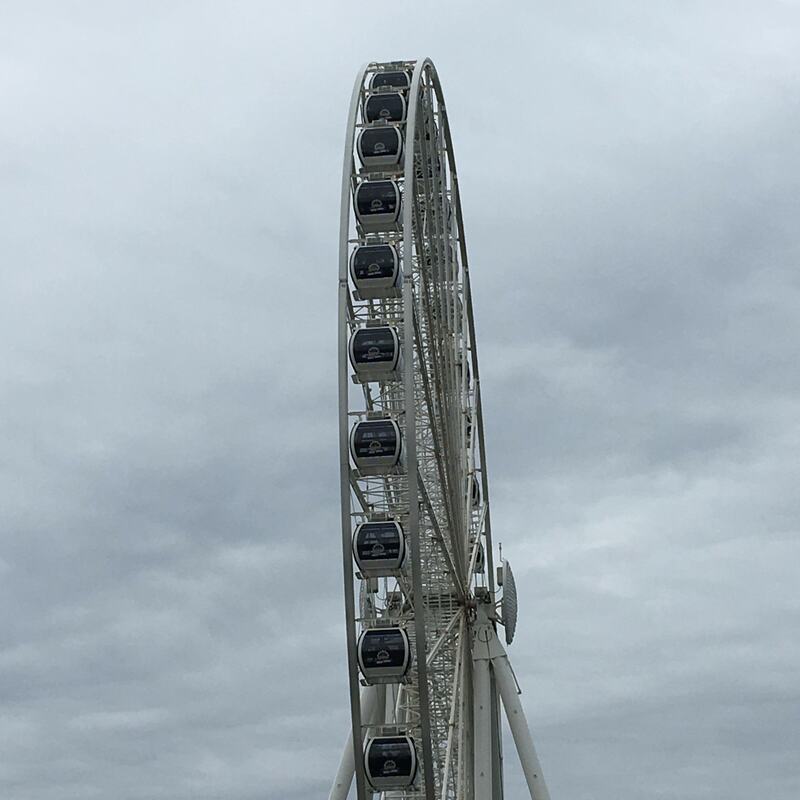  To get in our views we decided on the Great Wheel instead! 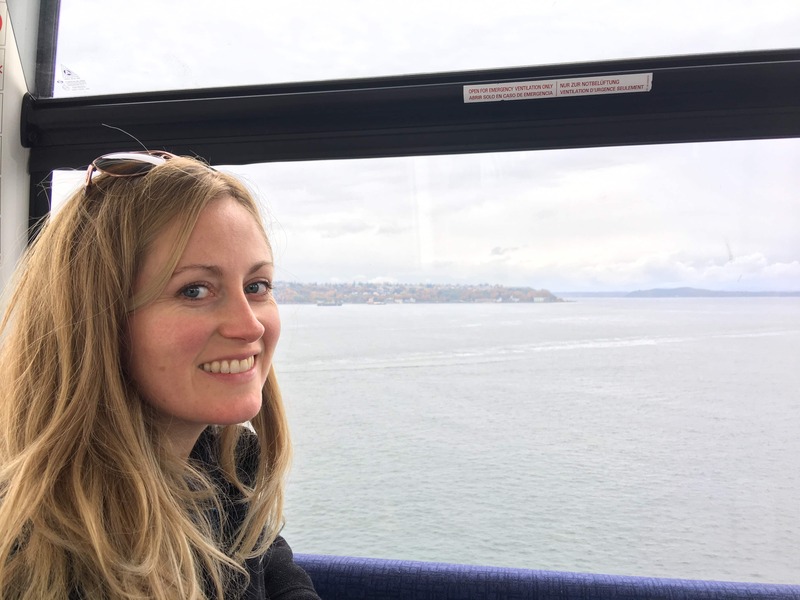 From there we headed to the famous Pike Place Market! After we were finished sightseeing we made the drive to Tacoma to meet my brother for dinner. 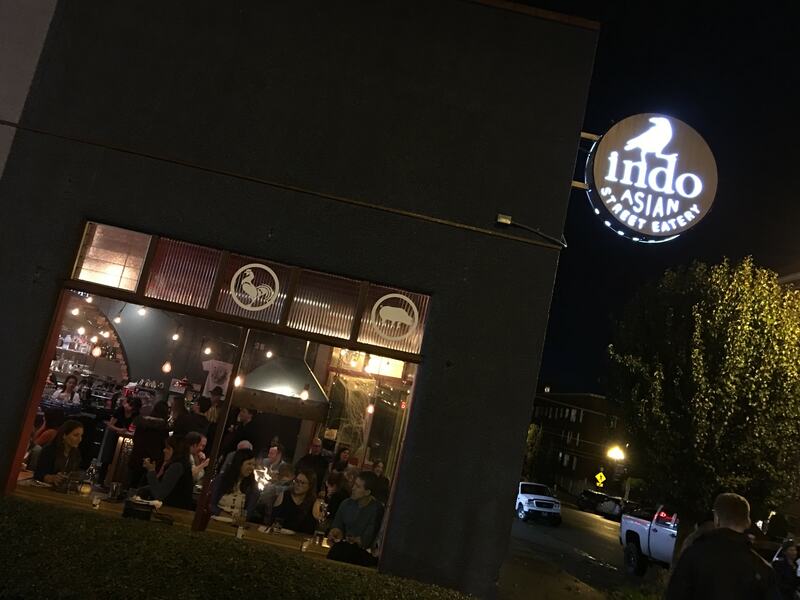 We went to a delicious Asian place called Indo-Asian Street Eatery. 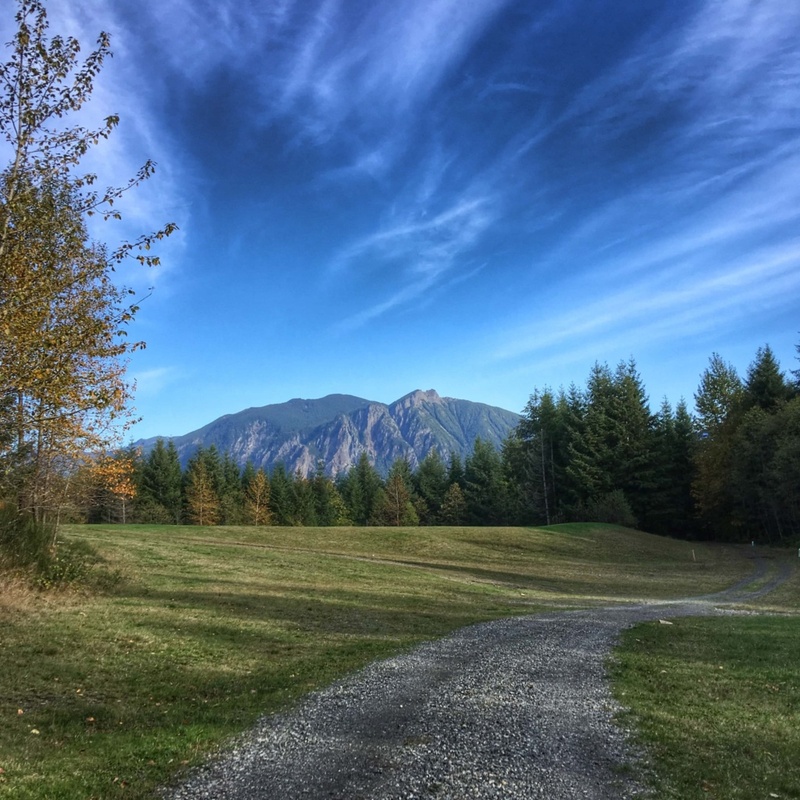 There’s not much more beautiful than the Pacific Northwest on a sunny day! 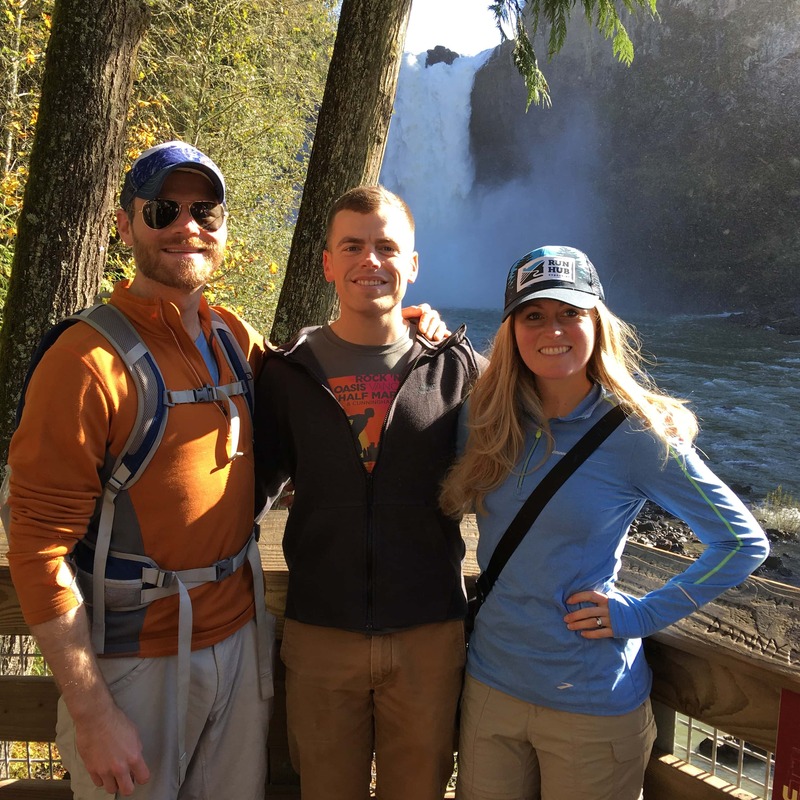 We drove over to Snoqualmie and did a low key short hike to see the beautiful falls. 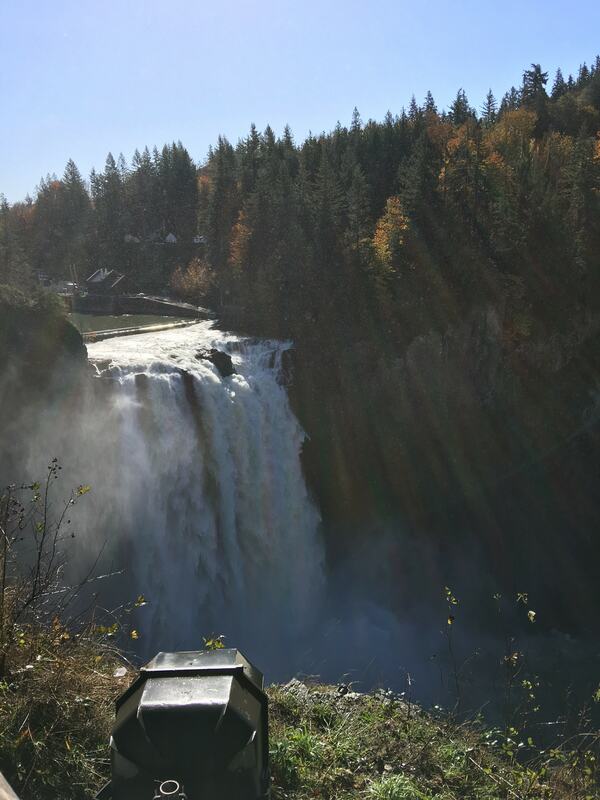 We made a quick stop at Snoqualmie Point before heading back to Tacoma. Beautiful! 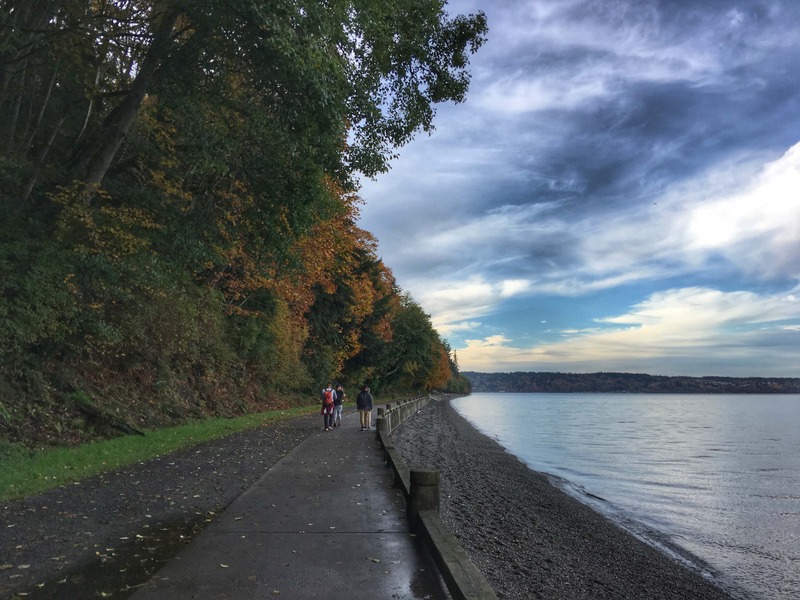 Once back in Tacoma my brother took us to see Owens Beach on Point Defiance, which is a cool outdoor activity area. He said in summer you can rent kayaks here, and there’s a ferry that runs over to the island across the way too. 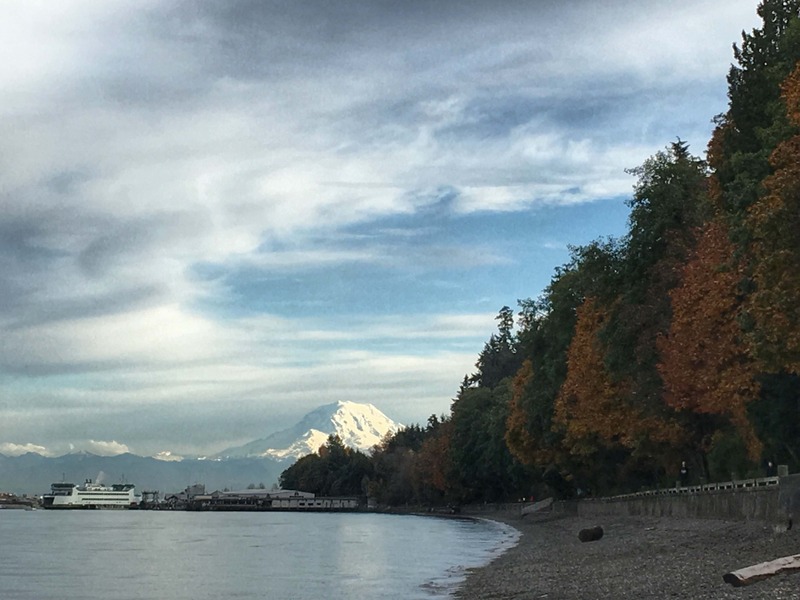 We also had a nice view of Mount Rainier! After a quick stop at the grocery store for snacks and REI for long underwear and better gloves for the hike (temps at the top of the mountain were going to be cold! ), we headed to dinner at Dirty Oscar’s Annex. This place is great – we came here last time I was visiting. 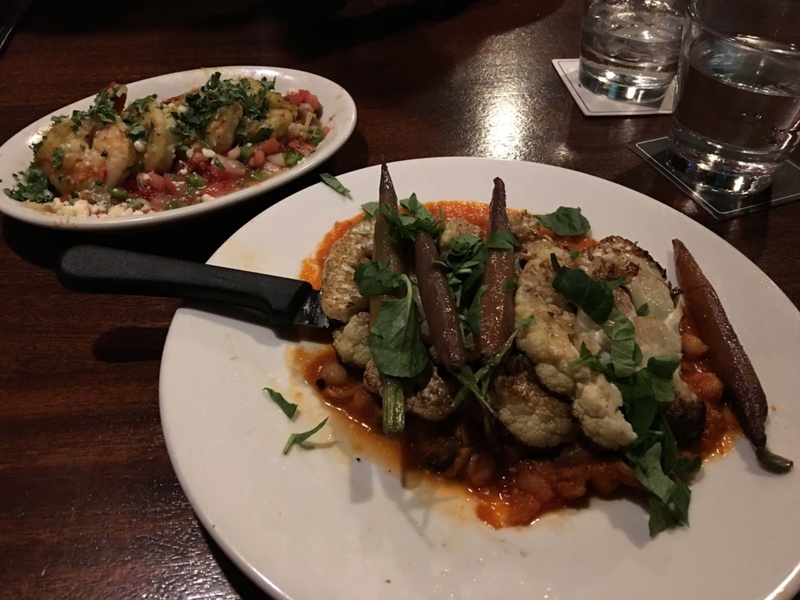 I had the shrimp appetizer and a vegetarian cauliflower steak entree (with chickpeas in a tomato sauce and roasted carrots). I’ve been really into roasted cauliflower lately! 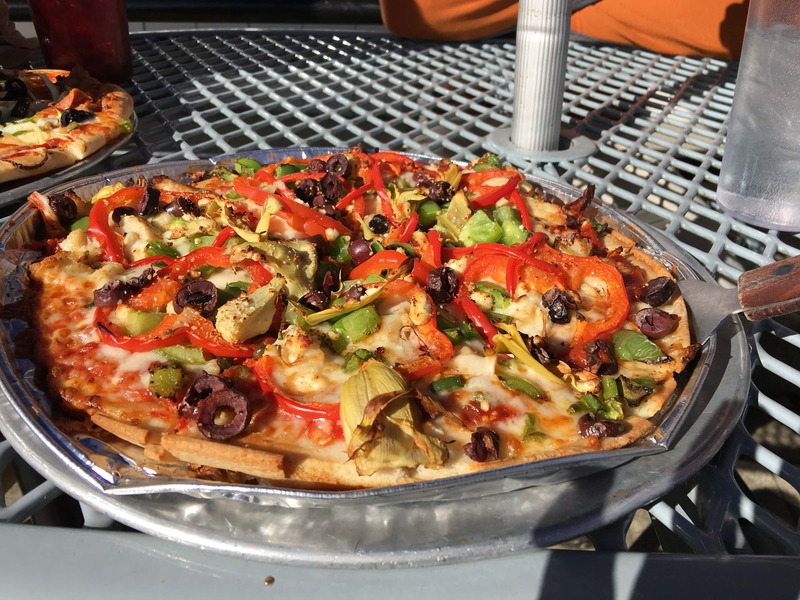 Post hike pizza should be a thing! 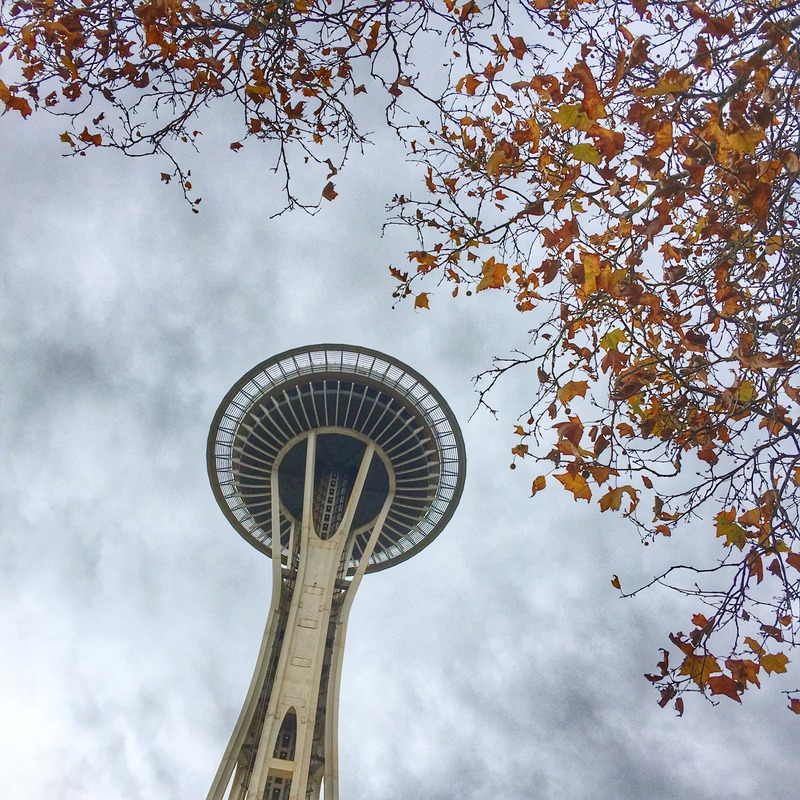 I visited Seattle last fall and saw the same cloudy skies. 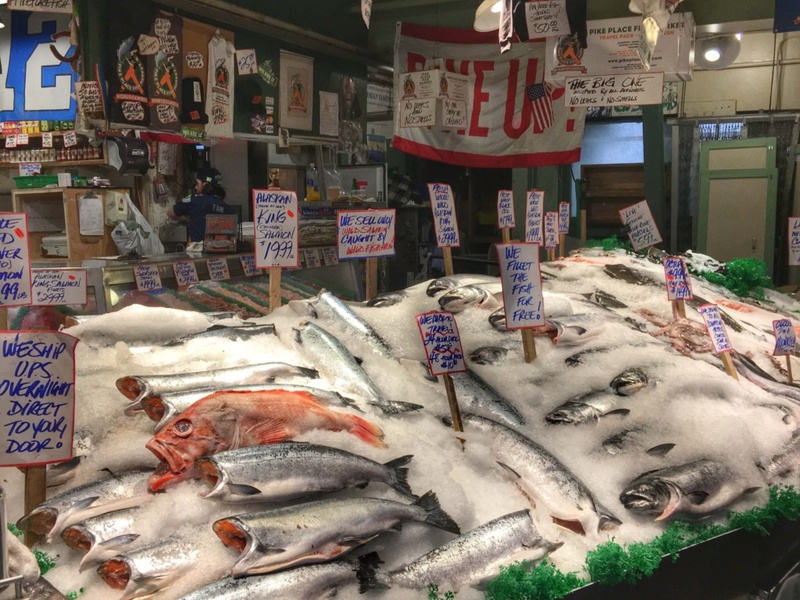 I did the Pike Place Market food tour and loved learning about it’s history and sampling all the fresh fish! 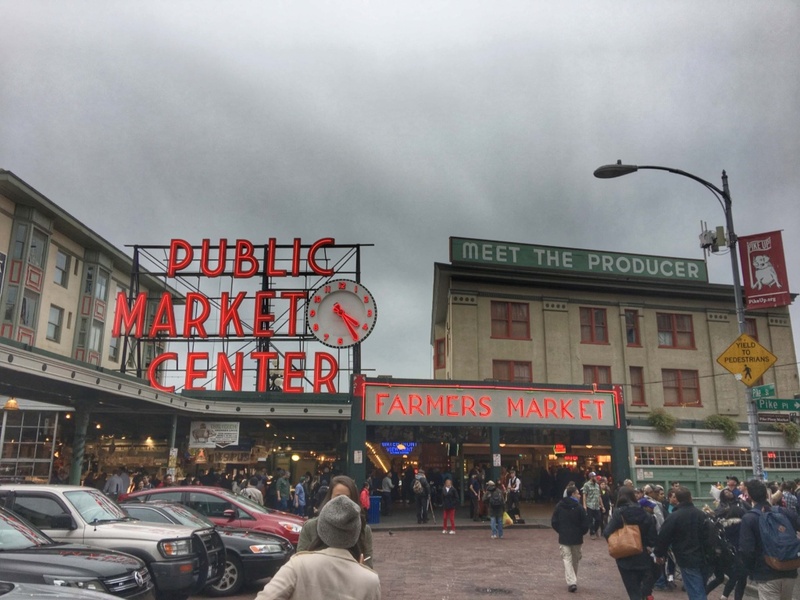 A guided tour of Pike Place Market would be really cool! i love seattle!! looks like a great weekend. Oh no your pictures are doing something funny on my computer. I can only see like 20% of them but they take up the whole screen. Yes, the pictures are mixed up for me, too. Kind of funny, actually, but I think we are missing out on some pretty scenery. Same here with the picture issues. 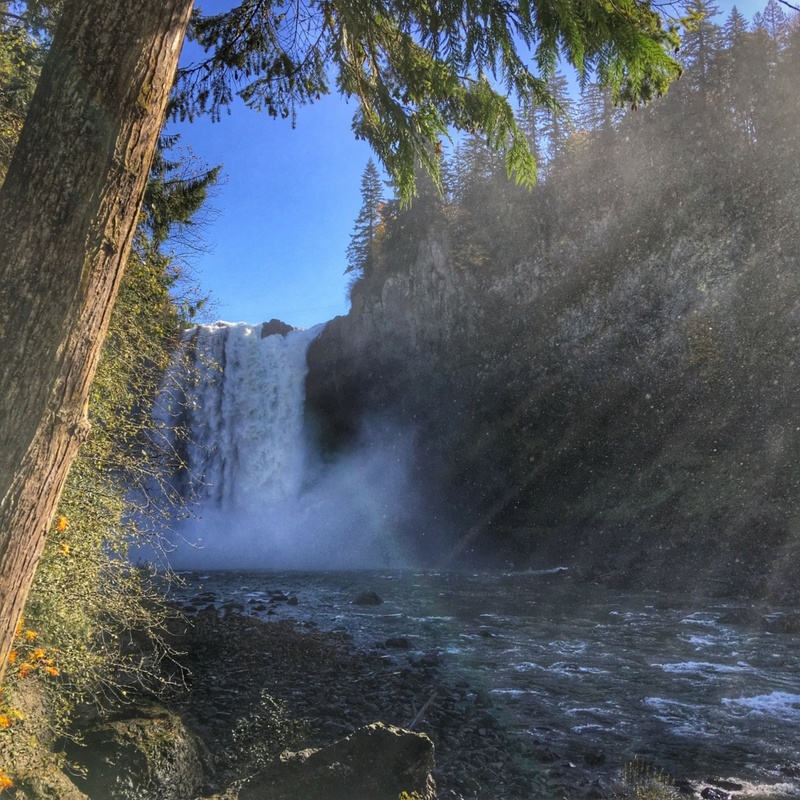 Those are stunning photos of Snoqualmie Falls! You came here right after we had a storm so the waterfall has more water rushing down than normal. Looks like you had a fantastic time! It was gorgeous – so much water and lots of spray flying up too! Wow, seriously beautiful! Must spend time there. So cool you got to try Emily’s kombucha! All of their flavours sound so good. Beautiful pictures! 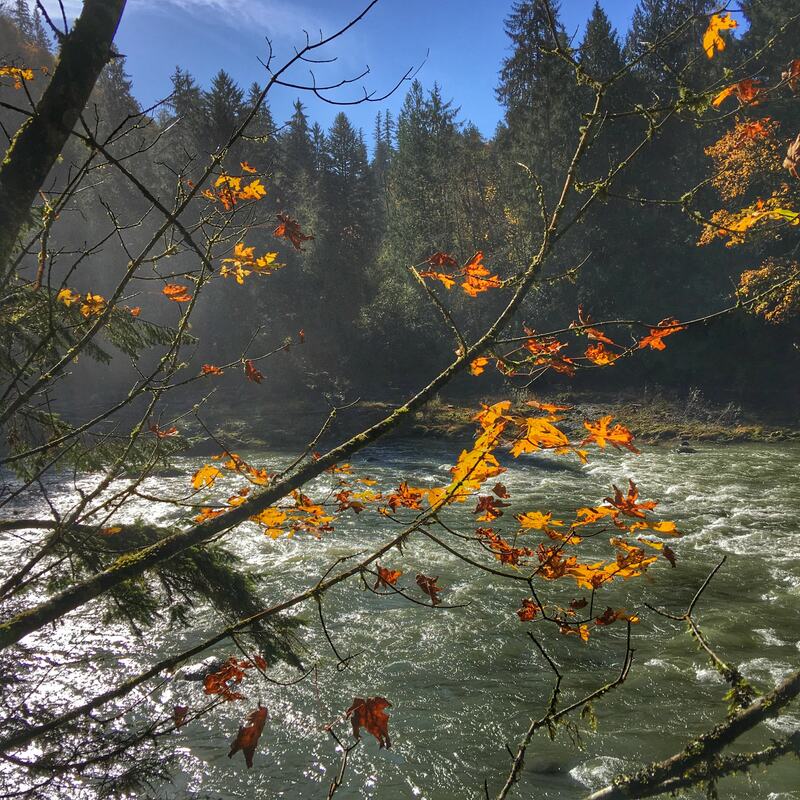 How I love the PNW. Great pictures. I hope I can go there soon.